Xiaomi is not only the leading smartphone brand in India, but the Chinese handset maker is also the top-selling wearable company in the country. Thanks to the affordable price tag of the Mi Band 2 and Mi Band HRX Edition, Xiaomi rose to the top position in the wearables category in India. Now the brand is looking to cement its position at the top and brought the Mi Band 3 to India at an aggressive price of Rs 1,999. 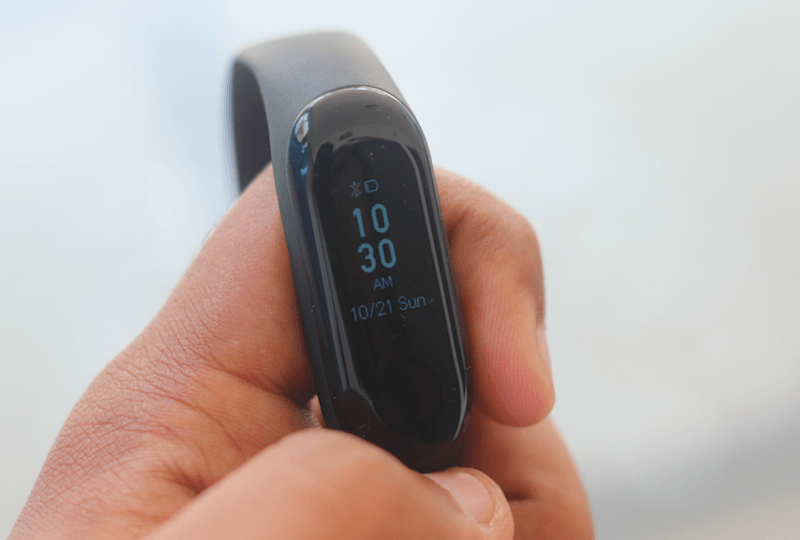 The Mi Band 3 is a major upgrade over the Mi Band 2 and offers additional features such as continuous heart rate monitoring, bigger display and a slightly larger battery. Here are the top five features of the Mi Band 3 which make it a worthy purchase. The recently launched Mi Band 3 comes with a lot of new features, and of course, it offers all of that at Xiaomi’s competitive and attractive price point. No wonder, the Mi Band 3 is bound to give some solid competition to other fitness bands from Huawei or other Chinese manufacturers. Since the Mi Band 3 is already available in China, India and several other regions, here are the top 5 features of the Mi Band 3 before you make a purchase. Among the striking highlights of the Mi Band 3 is the 0.78-inch OLED display which comes with a 128 x 80 resolution. The screen although remains a black and white one, its bigger size lets the device show more information now than before. Owing to the touch-sensitive display, users will now be able to navigate easily through the UI. The touch-sensitive screen will allow the users to reject calls as well. The Xiaomi Mi Band 3 cases a 110mAh battery, and since this device comes with a continuous heart rate monitor, it’s not going to last as much as the Mi Band 2. However, the band can still last up to 20 days when the tracking feature is turned off. Given that the screen gets bigger and there are a lot more features than the Mi Band 2, the Mi Band 3 definitely offers a powerful battery. The heart rate monitor on the Mi Band 3 is one of the biggest improvements in the band as compared to its predecessor. Although the Mi Band 2 used to come with a heart rate monitor, it wasn’t able to record continuous data. However, the Mi Band 3 is able to do that. The best part about this new feature is that it can last long, without having a lot of impact on the battery. Fitness Bands must have impeccable water resistant capabilities, and the Mi Band 3 definitely checks the boxes on that one. Users will be able to take the Mi Band 3 for a swim without any worries since the band can take up water resistance up to 5 metres. Like you’d expect, the Mi Band 3 comes with an improved pedometer which is more accurate. The heart monitor on the device along with exercise modes also get better. Users will be able to access real-time data for activities such as running, cycling, swimming, and walking. Further, Mi Band 3 users will be able to get detailed statistics about their activities on the Mi Health app, which the Band easily pairs. Xiaomi has launched the Mi Band 3 in India last month and it can be purchased at a price of Rs 1,999 in India. The Mi Band 3 can be picked up via Amazon India and Mi.com, and the best part is it’s available via open sale. If I move my hand to fake walking, it counts as steps. What a poor device this is can’t even read if anyone is simply walking or not. Moreover, overnight I walked 32 steps. By turning from one side to another in sleep, it counts as step. Aag laga do isse. It’s brightness… very low in sunlight…. Otherwise good one… ?